Family-owned business where you’ll work directly with the owner! The tiger is known for its speed, precision and presence. At Tiger Enterprises, those are the same qualities we strive for every day. For more than a quarter of a century, we have built our reputation by producing precision metal stampings, intricate fabrication, and quality tools and dies. From concept to manufacturing, our consistent performance and attention to detail is legendary. 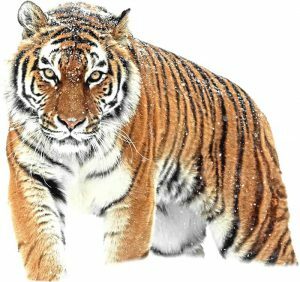 Like the tiger, our manufacturing process is adaptable, efficient, and accurate. As a Colt Certified Manufacturing Facility, we maintain sophisticated design capabilities that transform your drawings into exact fabrications. Our precision manufacturing combined with expert craftsmanship ensures each piece meets your specification. In-house secondary operations give us the resources and flexibility needed to meet the toughest delivery schedule. At Tiger Enterprises, every project starts with the selection of the highest quality materials and ends with the Tiger stamp of excellence. Our stamp symbolizes our corporate commitment to providing the best resources, equipment and applications possible to produce the most reliable prototypes and products for our clients while maintaining competitive pricing.